No maintenance required performance of each panel monitored online real time. added insulation and time of day shut off to hot water tank. Clean Energy to reduce fossil fuel use. Salesman and General contractor were totally incompetent. 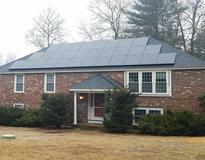 Subcontractor (3D Solar LLC) saved the project .